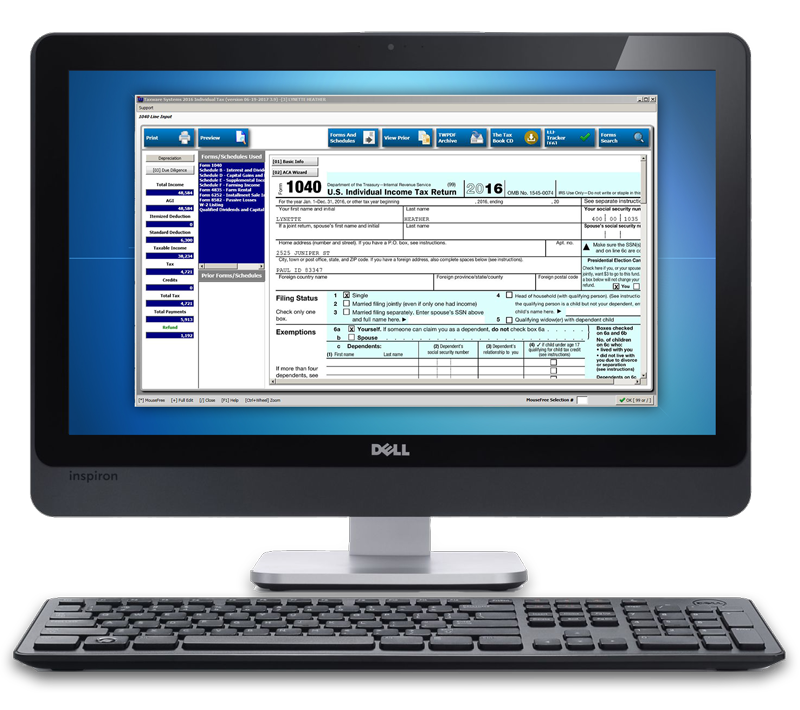 Taxware Systems offers a full line of Tax software designed for tax preparers by tax preparers. Taxware also provides Accounting software designed with the bookkeeper in mind. Our programs are available as Windows based desktop applications. 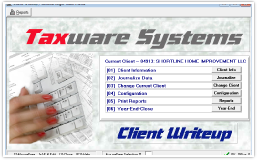 The mouse-free feature of Taxware’s Wintax program is ideal for tax preparers. It provides the flexibility of working with the mouse or strictly from the numeric keypad. Our tax software includes a 1040 program that is simple to use and offers a comprehensive tax preparation program that will meet the needs of any business. Part of our tax program is a complete line of state tax programs. Taxware offers 1120, 1120 S, 1065, and 1041 programs for companies that prepare business (entity) tax returns. We also provide programs for the Estate (706), Gift (709) and Exempt Organization (990). Call us today to learn about our pricing options! Taxware’s Individual Tax program provides virtually all the forms and schedules you will need to prepare even the most complex tax return. Our powerful entity tax return applications enable professional preparers to process, complete and deliver professional returns to their business clients. Taxware Systems Inc. has been providing Electronic Filing software since 1985, the inception of electronic filing. Easy to use and easy to track. Loaded with reports. We create one of the best asset managers on the market! We have re-written our Wintax 1040 Income Tax programs to become the most powerful in the industry. We invite you to experience it today!